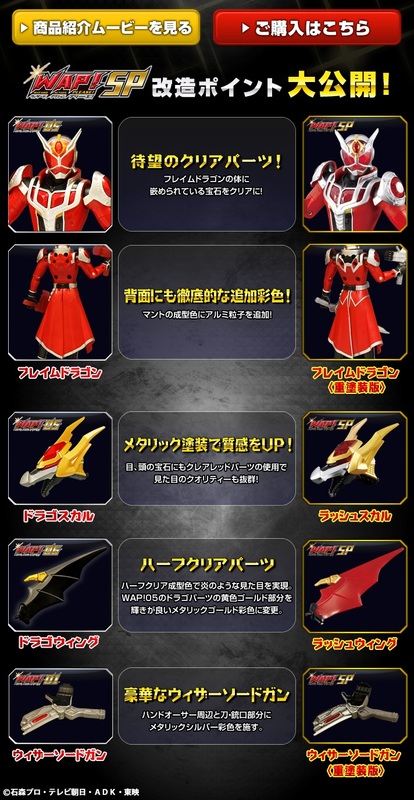 In addition to the current WAP! 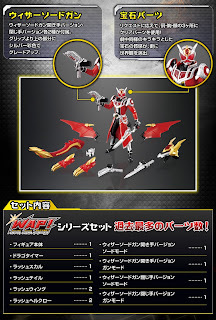 (Wizard Action Please) toy line for Kamen Rider Wizard, Bandai has announced the upcoming release of the WAP! 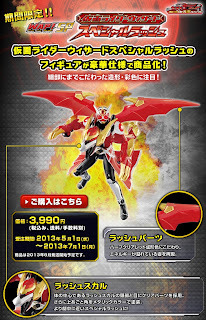 SP Kamen Rider Wizard Special Rush as seen in the movie Kamen Rider × Kamen Rider Wizard & Fourze: Movie War Ultimatum. 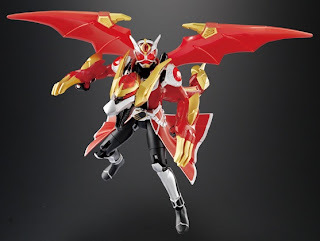 WAP! 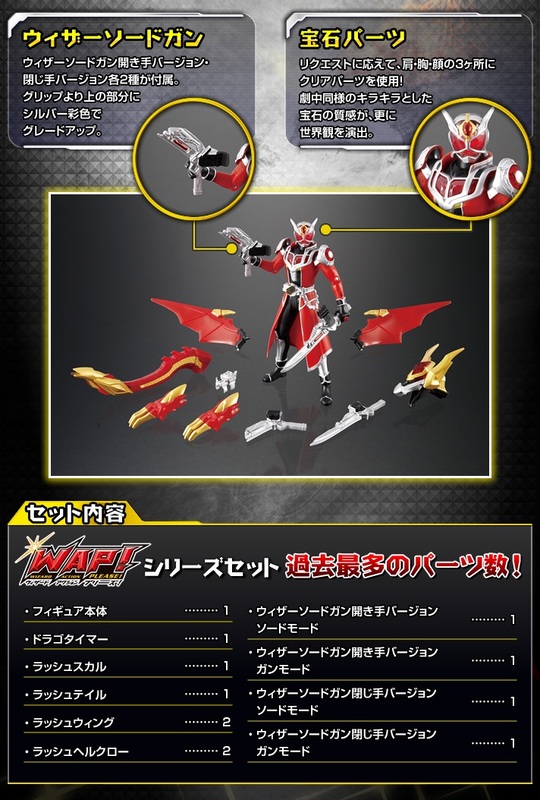 SP Kamen Rider Wizard Special Rush will have more detailed paint applications and sleeker lines and enhanced red versions of the WAP! 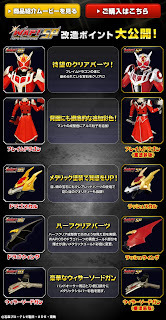 05 Kamen Rider Wizard Flame Dragon parts. 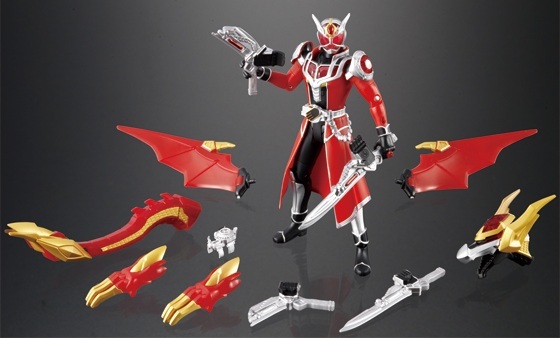 The set includes the figure, the Drago Timer, Rush Skull, Rush tail, 2 Rush Wings, 2 Hell Claws and open and closed hand versions of the WizardSwordGun. 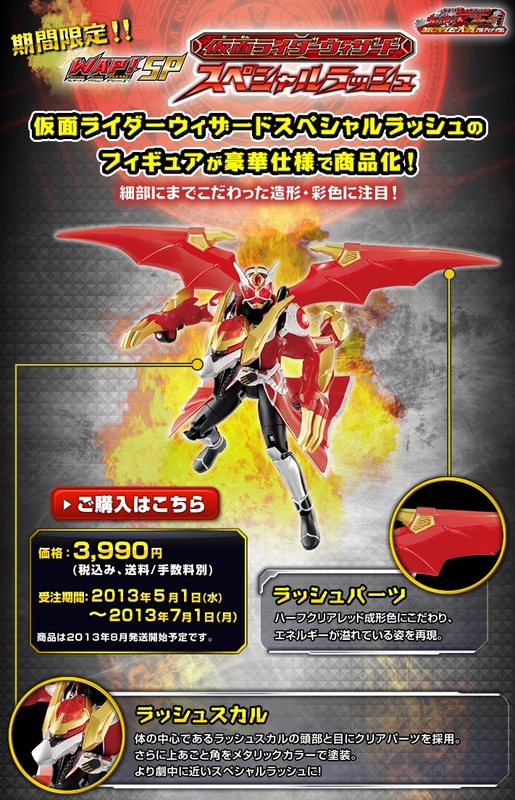 This is will be released this August as a Premium Bandai Exclusive retailing at 3,990 yen.